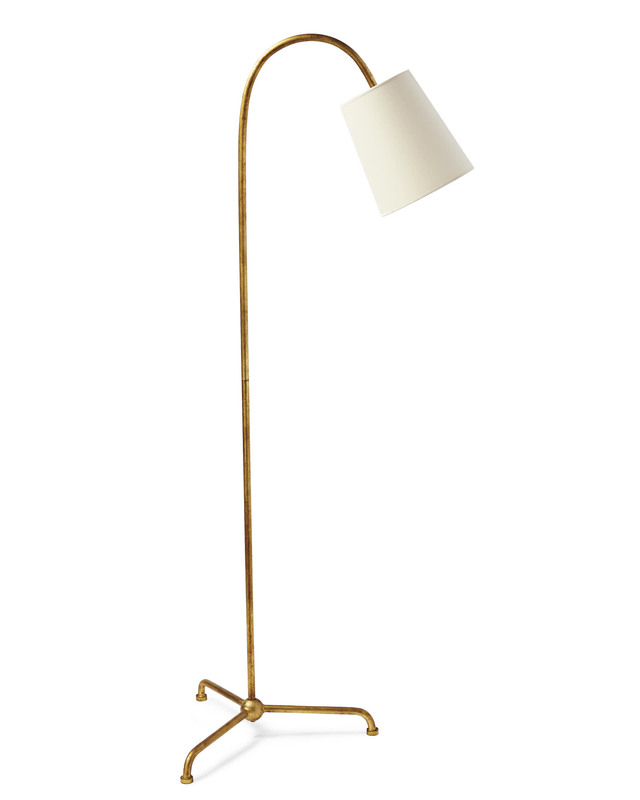 Preston Floor LampPreston Floor Lamp, alt="Preston Floor Lamp, "
Print We’re struck by this lamp’s seamless combination of traditional elegance and modern minimalism. A curved neck directs light in a quiet and graceful manner, and a tripod design keeps things steady. Base made of brass. Shade made of paper. 18” W x 56” H overall.